Fun Fact: Mikaela is a cat mom and her hairy baby has one eye. She got her nickname, Mike, from her boss at work who decided it was her name because it was shorter to write and thought it was funny. 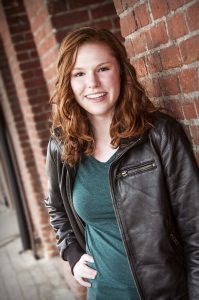 Special interests/ hobbies: Mikaela loves reading, watching movies, and drinking a ridiculous amount of Caffeine. Also naps. Fun Fact: Nate loves to follow professional track and field and could spend all day on the beach. Of course he is from California. Some fun things Nate did this summer include hiking Mt. Shasta, going river rafting and other fun adventures! Special interest/hobbies:Nate loves to do a lot of things. He hopes he will have some in common with his group members! Among his many hobbies are swimming, running, cycling, backpacking, playing the guitar, lifting, and surfing. Fun Fact: Katie’s favorite food is carrots, she has two fake teeth, and has taught herself to juggle. 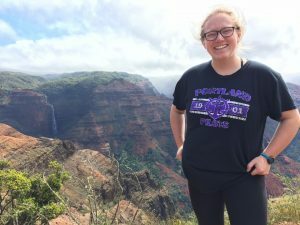 She worked all summer as a camp counselor for military children on a Navy Base in Kaui, Hawaii. Special interests/ hobbies: Katie used to swim in Howard Hall (“RIP”) and enjoys to be outside in the quad on a nice days. Katie also loves to go hiking in the Gorge on her weekends. 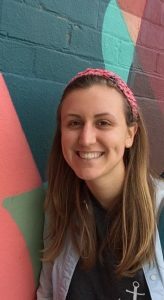 Fun Fact: Kelli has been both a Service Plunge Participant and small leader! She keeps coming back because she loves working with the Moreau Center! 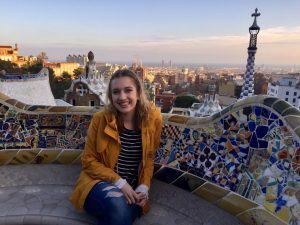 Kelli studied abroad in Spain last fall and hopes to become fluent in Spanish. 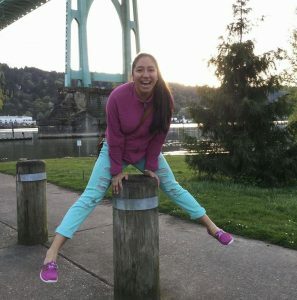 Special interests/ hobbies: Kelli loves to volunteer, hang out with friends, discover the amazing foodie scene in Portland, go to the gym, and being creative! Fun Fact: Noah can sing the alphabet backwards. Fun Fact: After having a great leader last year, Caitlyn has returned as a leader with the hopes of inspiring her own small group during the plunge! Last Summer Caitlyn traveled to Ecuador to help out at a variety of orphanages. Special interests/ hobbies: Caitlyn enjoys being outdoors! She likes to run, hike, bike, and just go on adventures! 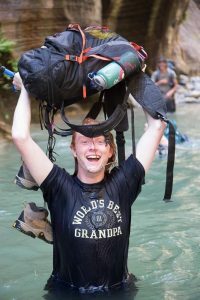 Fun Fact: Connell goes backpacking every summer and plans on hiking the Pacific Crest Train when he graduates from UP! This year he looks forward to participating in service working with non-profit groups and can’t wait to see the impact we can do as a campus while he shares his passion for community service with incoming students! Special interests/ hobbies: When he’s not studying or hiking, Connell likes to read and even write his own poetry! Fun Facts: Kim loves playing cards and is obsessed with Pad Thai. She has a twin sister at Gonzaga and a new puppy Bailey. Special interests/ hobbies: Among other things Kim is an intramural soccer and tennis player after growing up playing each sport! Kim is also a coordinator for IM this year so catch her on the court! 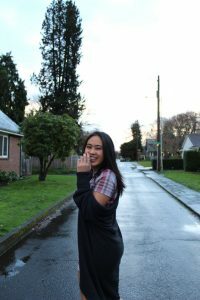 This year Kim looks forward to exploring Portland more and traveling during school breaks! 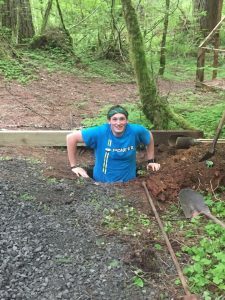 Fun Fact: A past plunge participant, Peyton can’t wait to be back getting involved in the Portland community through service! Peyton’s guilty pleasure is being a huge fan of the Bachelor, her dog is her best friend, and she has a constant sweet tooth. Peyton’s big goal is to visit 30 countries by the time she’s 30! Special interests/ hobbies: Music has been a huge part of her life as she grew up in a musical family. She has played the violin for 12 years! 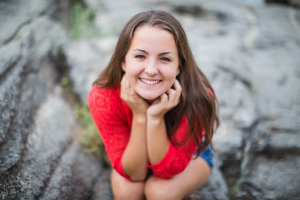 Peyton also loves photography, traveling, and any outdoor activity. Fun Fact: Jon is in his final year of nursing school! 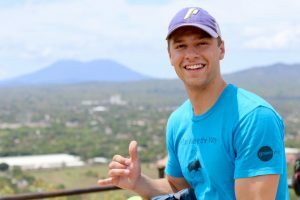 He loves In-N-Out burger and spent some time as a student in both Spain and Australia! Special interests/ hobbies: Jon loves to play sports of all kinds but his two favorites are golf and basketball. He is currently learning how to play the piano and loves to travel. Jon looks forward to being a part of this awesome opportunity to meet others while helping out the community in an impact way. Fun Fact: Rainey can drive an 18-wheeler, better known as a Semi-truck! She was named Rainey because her dad is a dry-land farmer and loves the rain. 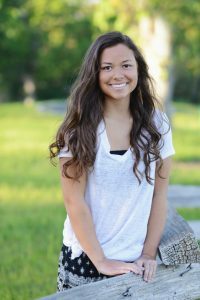 Special interests/ hobbies: Rainey enjoys water skiing, snow skiing, backpacking, and yoga. She also loves to read and go fishing; anything that means she gets to be outside! She is really excited to get more involved with the Moreau Center this year and be more active in clubs. Fun Fact: Brady has a twin brother and since both had red hair they grew up with the nicknames of Fred & George Weasley from Harry Porrter. 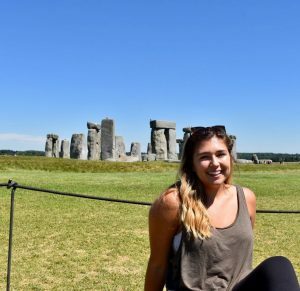 Brady Studied abroad in London this Summer and is an early bird visitor to the gym while also a night owl. Brady is extremely friendly and cannot wait to welcome all of you! Special interests/ hobbies: Brady loves exercising wether it be running, lifting, playing sports, or Zumba! He also likes to watch Netflix to keep up with TV shows as well as seeing movies. Brady has his own YouTube channel and is passionate about photography. Fun Fact: Tom is part of a big family with countless cousins. Is prone to bad sunburns, has run a marathon, and has even stopped traffic entirely on I-5! 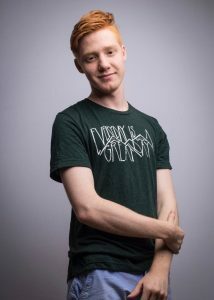 Special interests/ hobbies: Outside of school, Tom enjoys backpacking/camping, knitting, reading, body-surfing, listening to music, making short films, and of course the occasional nap. Tom loves talking and is looking forward to being a part of the plunge as the plungers find out what form of service they thrive in! 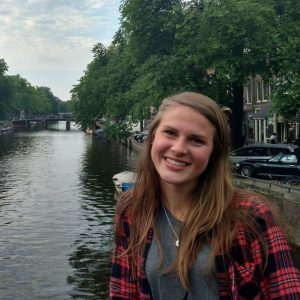 Fun Fact:A returning participant AND small group leader, Suzanne can’t wait to share the service plunge experience with incoming students especially through creating connections among each other and the community. She is also the youngest of five girls within her family. Special interests/ hobbies: When she’s not meeting new people and working on her upper division nursing classes, Suzanne loves to hike, travel, bike, and eat ice cream! Fun Fact: Kennedy is looking forward to presenting her research at a math conference this year! She is also a plant mom to Toad as well as Angelica Pickles. 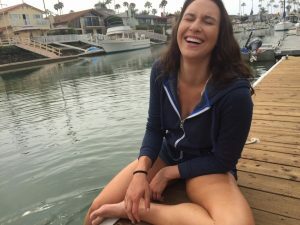 Special interests/ hobbies: Kennedy’s big hobby is that she is a strength sport athlete, or strongman, and has competed in a national competition! 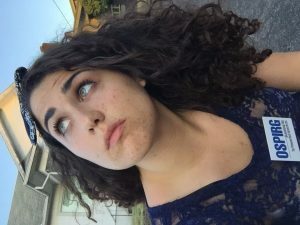 Fun Fact: Stephanie is a self proclaimed stereotypical Italian as she is loud and very short: “You may not always see me, but you’ll always hear me”. Stephanie was a cheerleader for five years and continues to cheer on the soccer team during UP soccer season. Stephanie is also excited to be one of the Sustainability and Innovation Coordinators for Fields Hall. Special interests/ hobbies: Stephanie loves to sing! She sings in a choir in Schoenfeldt and really enjoys it. Her favorite past times are hanging out on friends and going on adventures, especially on the Oregon Coast. Fun Fact: A returning service plunge leader, Megan hopes to make this experience great for the plungers! She is most excited about studying abroad in London this spring. Megan is the only one in her family with red hair. Special interests/ hobbies: Megan’s hobbies include playing the trumpet as well as playing volleyball. Fun Fact: Serenity enjoys playing competitive soccer and basketball. Her favorite kind of music is punk, and she loves to attend concerts. She even got to hug Joe Jonas at one! Special interests/ hobbies: Serenity collects vinyl records and listens to nostalgic music from her childhood often. She is also an animal and environmental activist. Serenity is into a lot of different art forms from sketching to painting and even makeup! Fun Fact: Annie studied abroad in Australia this past semester and swum with whale sharks whom she says are very friendly and majestic! She only hates two things: Cheetos and action movies. 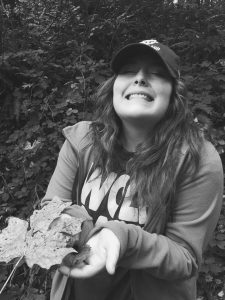 Special interests/ hobbies: Annie loves volunteering with Friends of Trees and is excited to share her love for volunteering with the new plungers. 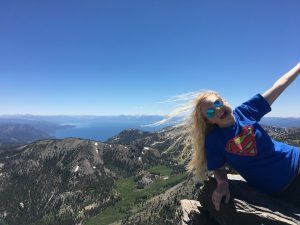 She loves to do anything spontaneous – especially if it involves meeting new people or the outdoors. 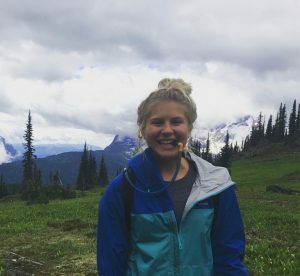 If she could spend a day doing anything it would be either to go hiking, biking, or rock climbing- especially on the beautiful trails right here in the PNW! 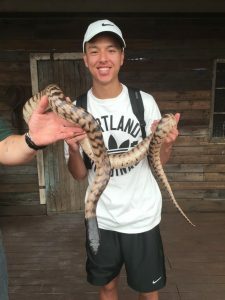 Fun Fact: As a freshman, Jumel participated in the service plunge and has tons of fun which prompted him to become a leader this year so he can help the plungers also have an awesome experience. Also Jumel does not like raspberry the fruit but does like raspberry flavoring. Special interests/ hobbies: Jumel enjoys playing the occasional tennis team while also doing some photography on the side. He loves to travel whenever possible and hopes to go to Croatia and Spain soon. Fun Fact: Anita loves astrology and enjoys mapping out people’s astrological birth charts. Special interests/ hobbies: Among Anita’s hobbies are taking nature walks, binge watching ‘Friends’ on Netflix, and cooking. 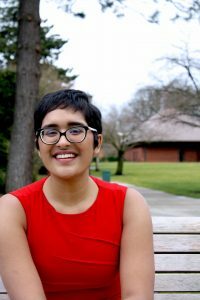 Fun Fact: Francesca is Shipstad’s Service and Justice Coordinator this year and is looking forward to becoming more involved within the Portland Community! She loves going on summer road trips along the coast and also creating spotify playlists! Special interests/ hobbies: Francesca loves running, hiking, traveling, taking photos, and hanging out with friends and family. Fun Fact: As a freshman Kaitlin participated in the service plunge and had so much fun she had to return as a leader! 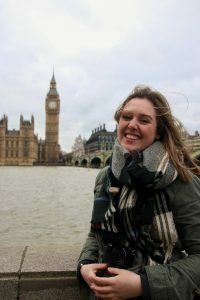 Last year Kaitlin studied abroad in London and traveled throughout Europe. 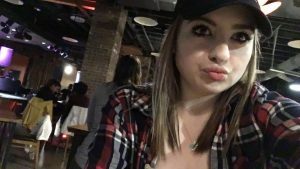 Special interests/ hobbies: Kaitlin loves to go on outdoor adventures such as hiking or camping but she also enjoys staying in and binge watching TV. She loves to travel and hopes to do more in the future. Fun Fact: Dannise, or Danni as she goes by sometimes, grew up in Sydney, Australia but is not a resident of Portland! She is excited to start her clinicals as a junior nursing student and really get started in nursing school. Also, she was chased by an emu once! Special interests/ hobbies: Dannise is a big foodie and loves trying out new restaurants in Portland. She also really enjoys traveling and plans to travel around after college. Fun Fact: Grant is incredible superstitious. Special interests/ hobbies: Grant runs half marathons and was a former competitive shooter. He was also a comedian! 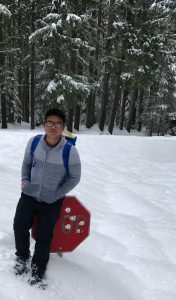 Fun Fact: Ankit is an eagle scout who loves to hike and has done the bike ride from Seattle to Portland! Special interests/hobbies: Ankit likes music, hiking, ultimate frisbee, and tennis. Fun Fact: Diana loves water. Special interests/hobbies: Diana loves to volunteer, be outdoors, be active (especially playing volleyball), and enjoys church activities. She loves doing everything! Fun Fact: Sitara loves classic American Rock and going to concerts. She also loves to write and re-watch the Office over and over again. Special interests/hobbies: Sitara is a HUGE fan of Harry Potter. She loves swimming, camping, and cliff diving as well as following all the celebrity gossip. 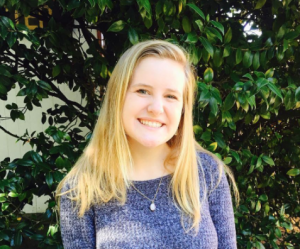 Fun Fact: Cathryn is excited to share her passion for service with others! She has been abroad in Australia for 1/3rd of a year and is looking forward to being back in Portland. Cathryn has ridden a camel – it’s not comfortable if you’re curious- and has kayaked through the San Juan islands and saw a pod of Orcas. Special interests/hobbies: Cathryn loves yoga and goes hiking every chance she gets. She is super into art and her hobbies include paddle boarding in dresses and not showering for longer than she’d like to admit while camping. Fun Fact: Katie is this years Fields SJC! Every summer of high school Katie lived at Door of Faith Orphanage in La Misión, Mexico, where she helped with child care and teaching English which is awesome because two of her favorite things to do includes reading and hanging out with friends! Special interests/hobbies: Katie loves to read tons of books and spend time with friends!